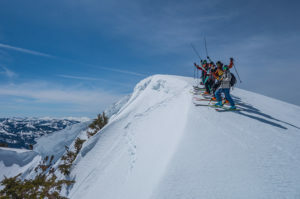 Pro-skier & ski-mountaineer Caroline Gleich joins Alpenglow Expeditions for a day of backcountry skiing in Squaw Valley’s renowned “Nat Geo Bowl.” Join us! About Caroline Gleich: Caroline Gleich is a professional ski mountaineer and adventurer based in Salt Lake City, UT. When she’s not on snow, she loves trail running, alpine climbing, ridge scrambling, biking and dreaming about her next human-powered adventure. 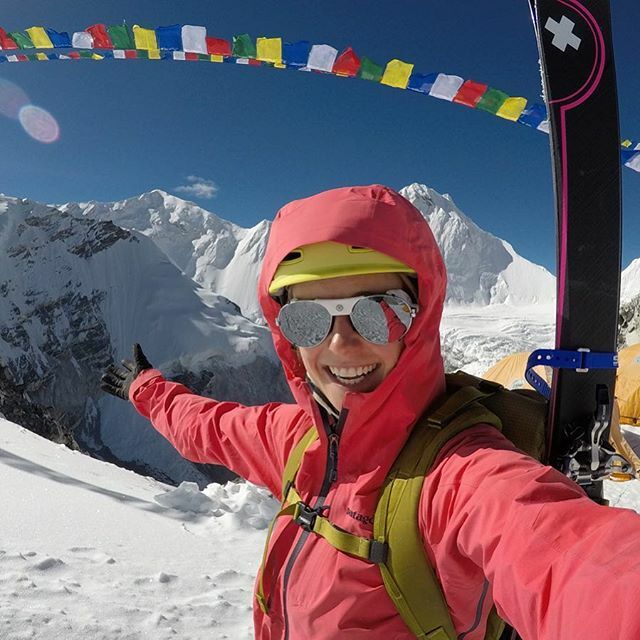 In October, Caroline successfully climbed and skied Cho Oyu. 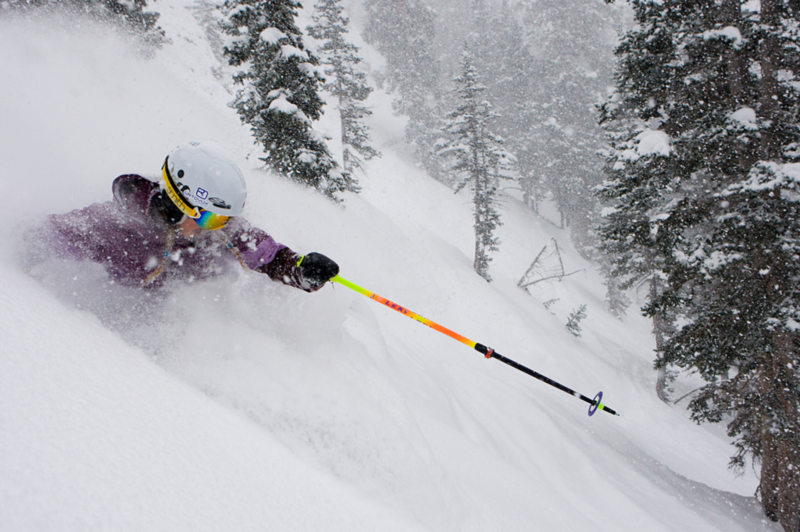 You may have seen her on the cover of Powder, Backcountry or Ski Magazines or in a ski film. A nature lover since birth, Caroline uses her voice as an athlete to advocate for social and environmental justice, working on issues such as climate change, clean air and cyber harassment with non-profits such as Protect Our Winters, HEAL Utah, Winter Wildlands Alliance, Wilderness Society, Tree Utah and Adventurers and Scientists for Conservation. Caroline’s goal is to inspire people to get outside, live a healthy, active lifestyle and protect the places we love to play. — We will utilize Squaw Valley lifts to access backcountry terrain beyond Granite Peak. A lift ticket is required. If you need to purchase a ticket, please notify the office, we offer special discounted $50 tickets for our guests. — Please note, we will be accessing advanced terrain outside of the boundary of Squaw Valley. Participants should be experienced backcountry skiers or splitboarders, with excellent physical fitness, and be able to hike continuously for multiple hours. This event is not a beginner course, and no backcountry instruction will be provided. Ski and ride outside the ski area boundaries of Lake Tahoe’s premier resort with Alpenglow’s AMGA certified guides. By utilizing the extensive lift system of Squaw Valley Alpine Meadows we can quickly access incredible terrain and get more skiing and riding in. For the first time, this terrain can now be ridden with a guide, opening up lift-accessed riding for skiers and snowboarders regardless of backcountry experience. Can’t make it but still want to check out the zone? 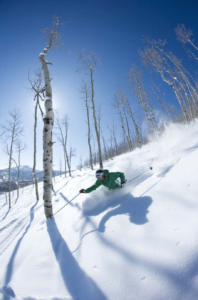 Book a private Squaw Valley Backcountry Tour here. 1. We reserve the right to cancel any trip at any time. Reasons for cancellation might include (but are not limited to) natural disasters or inadequate enrollment. If we cancel a trip prior to its start for low enrollment, we fully refund your payments. If we cancel your trip prior to its start due to natural disasters or other reasons of that nature, we will re- fund all but non-recoverable costs. Changes to a trip itinerary made by our guides for any reason do not constitute a cancellation, and no refunds will be made in this case. 2. If you cancel your trip more than 30 days prior to departure, Alpenglow Expeditions will refund your payment minus a 25% cancelation fee, or the option to rebook to another available date with 100% credit. Cancellations between 15 and 30 days prior to the course start, you may reschedule with a 25% rebooking fee. Inside of 15 days, there are no re- bookings or refunds.